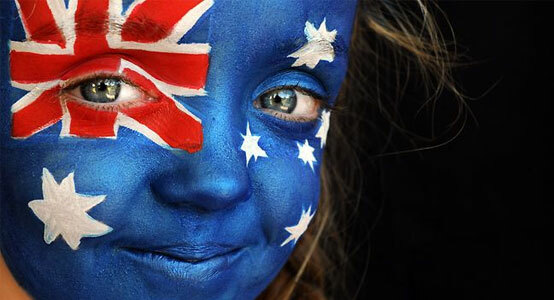 Happy Australia Day – What does it mean to you? I am an immigrant. It nearly sounds like a dirty word, but it’s no secret. We came to Australia 9 years ago on Christmas Day. Just a little ‘jump across the ditch’ from windy Wellington to sunny Queensland. We learnt that moving countries is no small deal. Given the closeness of New Zealand to Australia, given the cultural similarities, the same language, and how many Kiwis are already here, and given that we had holidayed here many times, we expected an easy transition. And yet the feelings of isolation, having not knowing a single soul in Queensland, the discrete (and not so discrete) differences in social interactions, the deeply ingrained differences in attitudes towards varying social classes and cultures, meant settling in here was no easy task. We’ve seen a number of our fellow New Zealanders move to this beautiful land, only to return back as they too found the differences which we do not see when we holiday here, are harder to bare on a daily basis. I am privileged to work with young Australians from varying cultural backgrounds on a daily basis. I teach Indian-Australians, Kiwi-Australians, Muslim-Australians, Ukrainian-Australians, Chinese-Australians, Aboriginal-Australians, English-Australians, Irish-Australians, and many more wonderfully diverse Australians. Nine years on from our move here, I am grateful to have the privilege of living in this beautiful land, of working hard to contribute to our fine community, and for meeting many inspiring people. To me, Australia Day is about taking some time to remind myself how privileged I am to make a life for myself and my family in this land. It’s about gratitude for what this country provides me. It’s about continuing to build the multicultural pride that we grew up with in my homeland, here. So happy Australia Day everyone. May you celebrate with gratitude, understanding, inclusion and peace.